Taken from Mock, Papers, Scissors. 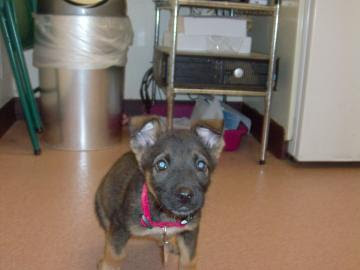 I was cleaning out some old email and found this photo sent to us by the Humane Society. They wanted to know how Andy the Pocket Shepherd was doing. I'm not certain, but I'm guessing he's somewhere between 6 and 8 weeks here.